Cataracts can cause blurry vision and make it harder for you to live your life the way you’re used to, which is the main reason why so many people choose to have cataract surgery to help partially or completely restore their vision. Choosing to have cataract surgery may be an easy decision, but choosing a cataract surgeon that you can trust, however, warrants some thought. It may be easier for you if your regular eye doctor is already a qualified ophthalmologist, but if not they will in most cases be able to recommend someone exceptional in the area. After all, if you already have an existing physician then they know about your specific condition and optical needs, and are likely to have a list of contacts they trust who can help you. Anyone who doesn’t have a current eye doctor should try asking friends and family who have either had or know someone else who has had cataract surgery about who they may recommend. Alpine Eye Care offers up the latest technology, utilizing the ORA technology, which increases the accuracy of the lens we place in the eye to become more independent of glasses after the surgery. You can read more about that here. Once you’ve compiled a list of potential cataract surgeons, it’s time to visit them, get to know them, and ask them about any burning questions or concerns you may have. 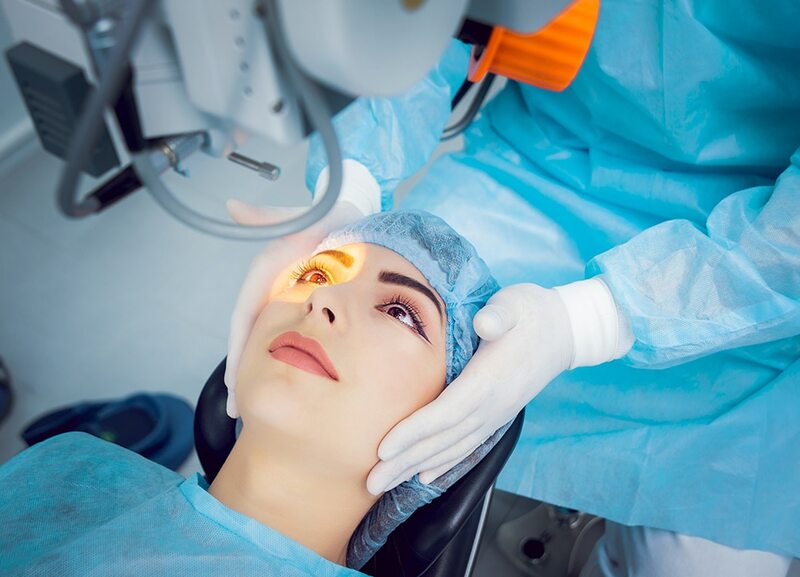 It’s extremely important for you to feel comfortable with whoever will be performing your cataract surgery, this means ensuring that you’re being treated politely and professionally at all times, given any information you need about your surgery including all the risks and benefits, and having all your questions answered upfront. Be wary if something sounds too good to be true. If your potential candidate promises perfect vision with no chance of down sides, you need to get a second and third opinion. Ask your prospective cataract surgeon about the need for any follow up appointments or procedures, as well as who will be in charge of helping with your recovery. Lastly, ask how many times if ever they have suffered any kind of infections or outbreaks that spread between multiple patients. It may be rare but it does happen, and you need to know about it. Make a list of any and all other questions or concerns you have ahead of time to ensure that you don’t forget anything important when you meet with your potential cataract surgeons. Always remember that you have the right to choose your cataract surgeon. Even if you have already met with someone, or multiple people, you are free to change your mind at any time should the relationship not feel right to you. If you’re looking for anything from an eye exam to a surgical procedure anywhere in Northern Michigan, schedule an appointment with Alpine Eye Care by calling us directly at 1.877.733.2020 today to learn more about our practice, read patient testimonials, and receive excellent care.